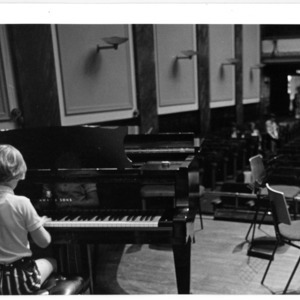 Christopher Moulds aged 7, rehearsing at Wigmore Hall for a concert given on September 9th 1975 to delegates of the World Conference on Gifted Children. He played piano pieces by Bartok and Beethoven. 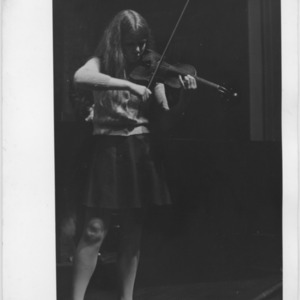 Clare McFarlane playing te violin. She was accompanied by hermother on the piano, a music teacher at Manchester High School for Girls. Clare is studying at the Menuhin School. 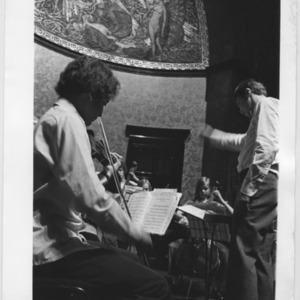 duplicate print 1 of SWA.124 Wells Cathedral School Orchestra rehearsing at Wigmore Hall London. 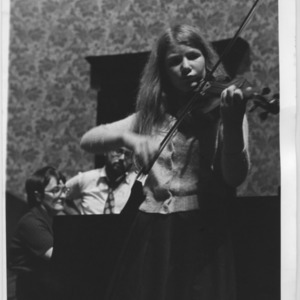 Clare McFarlane, aged 12, at Wigmore Hall, London. Wells cathedral School Orchestra rehearsing at Wigmore Hall, London. This has been written on the back of the print by Serena Wadham, although some is lost in the crop. At the top it seems to say 'Jeremy Williams.....(something cut off)"
Nicholas Williams (? 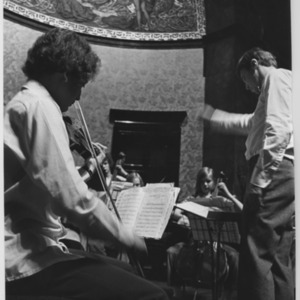 ), rehearsing at Wigmore Hall with Wells Cathedral School Orchestra. "Nicholas Williams (?) after rehearsing his own composition 'Divertimento' at Wigmore Hall with Wells Cathedral School Orchestra"
Nicholas Williams (?) 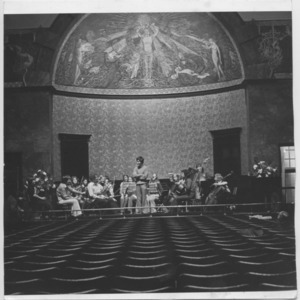 conducting his own piece at Wigmore Hall with Wells Cathedral School Orchestra. "Nicholas Williams (?) 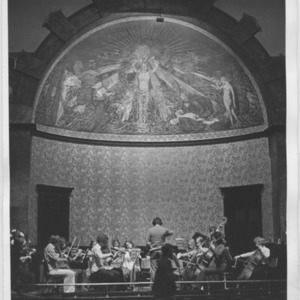 conducting his own piece with Wells Cathedral School Orchestra at Wigmore Hall".